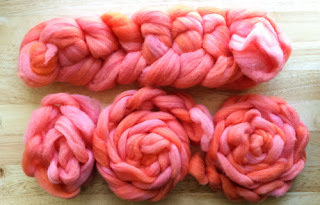 Over in one of the Ravelry #nalbinding groups we just posted a color challenge. Thought it might be of interest. Last month I joined the Facebook group “A Spinner’s Study”. Truly a lovely group (enough to make me think twice about my general dislike of Facebook.) They have monthly challenges and breed studies and one that I’m participating in for October is The Cormo breed study. 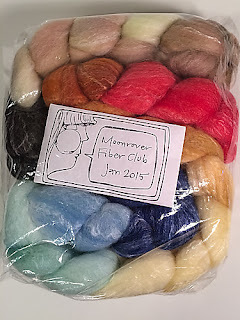 Received my cormo top (from North Star Alpacas) this week. (Isn’t the salmon color pretty? This is as close to pink as I get, folks.) 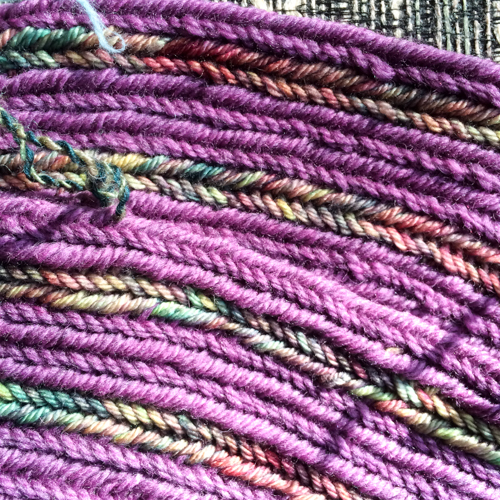 I’d spun cormo before, but I’d forgotten how wonderful it is to spin! Easy to spin a nice fine yarn. Feels good in my hands. I picked up precise spinner’s control card and an angle of twist gauge from Hipstrings too. They arrived just in time for me to start spinning my cormo. 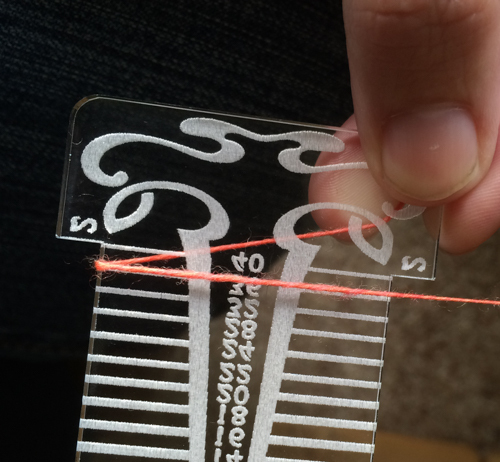 Trying the pinch and pull type method for consistency. I can’t do this method for hours on end like I can other methods (I’m a former programmer and it took a toll on my hands). But it’s nice to know how to do. 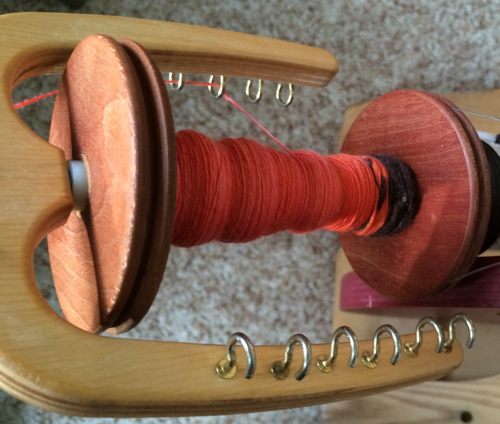 So I spin for ½ an hour to an hour and do something else for a while. 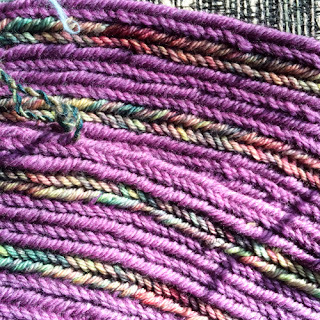 Next month the challenges will focus on thin yarns and thick yarns. Really looking forward to that! I also participated in the Moonrover stash-along challenge with some superwash merino/bamboo blend. I’m not usually an SW fan. 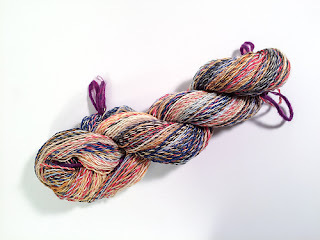 But this spun very nicely and it was fun to use up some of my fiber club stash from the beginning of the year. What have you all been working on? Have you been feeling the autumn crafting bug?